We believe that postage charges should reflect the actual charges incurred and that larger orders should be rewarded. 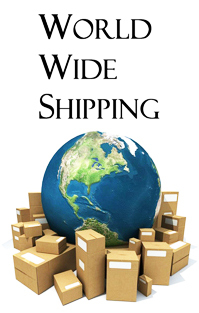 At Simply Civil War we have a sliding postage rate based on the weight of items ordered. If your order is £200.00 or over we will deliver FREE OF CHARGE to the UK. We will normaly dispatch your order within 1 working day via The Royal Mail, We will send orders 1st Class and will record the package on expensive items or larger orders. Heavy or extra large orders will be sent via INTERLINK or PARCELFORCE couriers who offer a fully trackable 24 hour delivery.